Psalm 44:10-18 "The daughters of kings have delighted thee in thy glory. The queen stood on thy right hand, in gilded clothing; surrounded with variety. Hearken, O daughter, and see, and incline thy ear: and forget thy people and thy father's house. And the king shall greatly desire thy beauty; for he is the Lord thy God, and him they shall adore. And the daughters of Tyre with gifts, yea, all the rich among the people, shall entreat thy countenance. All the glory of the king's daughter is within in golden borders, Clothed round about with varieties. After her shall virgins be brought to the king: her neighbours shall be brought to thee. They shall be brought with gladness and rejoicing: they shall be brought into the temple of the king. Instead of thy fathers, sons are born to thee: thou shalt make them princes over all the earth. They shall remember thy name throughout all generations. Therefore shall people praise thee for ever; yea, for ever and ever." St. Louis de Montfort: "If Jesus Christ, the Head of men, is born in her . . . the members of this Head must also be born in her by a necessary consequence . . . The Head and members are born of the same Mother." Jesus Christ is the one Mediator of man and God the Father, the only Person whose Blood saves us; but the most effective and beautiful way to Jesus is through the imitation of Mary and beseeching her to pray for us. Mary is not only the Christ's mother; she is our mother, and the Queen Mother of Christ's Kingdom. In the Old Testament, the Queen Mother held the title of gevirah and was the most powerful woman in the Davidic Kingdom, the one who acted as a mediatrix between the King and his people. Just as Queen Mother Bathsheba interceded with her son, King Solomon, on the part of those who took their pleas to her (3 Kings 2:19-20), Our Lady -- our Queen Mother -- intercedes for us with the King of Kings. At the wedding at Cana, Mary looked at the wedding guests, saw what they needed, and made her request to Jesus, on their behalf, for more wine. He knew well that she was asking for a miracle, but replied that His "hour is not yet come." Knowing her place, she doesn't insist, but she trusts that Her Son would comply. She is the Queen Mother, she'd made her request, she trusted in Him and in His trust of her, and, just after He said that His hour had not yet come, she told the waiters there with all confidence, "Whatsoever He shall say to you, do ye." And then Jesus did comply, asking those waiters to fill six jugs with water -- water that He then changed into the wine Mary sought for the thirsty guests. It was at Our Lady's request that Jesus performed His first public miracle and that He first revealed His divinity to the masses. What we must remember is that He performs miracles and reveals Himself at her request even today. By asking for Mary's intercession, by honoring her, and by perfectly imitating her, we can get closer to Jesus. We Catholics honor our Queen and Mother in many ways, most especially by "doing what He tells us" per her advice to the waiters at the wedding at Cana. This is her fondest wish, her deep desire: that we come to know, love, and serve her Son! To better serve God is the ultimate objective of any honor given to Our Lady and the very purpose Marian devotion. "Per Matrem ad Filium" -- "Through the Mother to the Son" is the motto of the Catholic who especially loves Our Lady. We revere Mary, too, by such practices as praying to her (especially in the Rosary), piously wearing the Brown Scapular of Carmel, piously wearing the Miraculous Medal, remembering her Feasts, keeping the Five First Saturdays per her request to the seers at Fatima, crowning statues of her in May, defending her honor against Protestant misunderstandings or out-and-out evil attacks, etc. Most of all, we give our offerings, sufferings, and pleas to her to give to Jesus so that they will be purified and presented to Him by immaculate hands. An analogy: a small child makes a cake for her Father on Father's Day. She's not the best cook, and the cake is a little lopsided and inelegant by restaurant standards. The child's mother, upon seeing the child's offering of love, "oohs and ahs" over it, kisses her child on the forehead, and says, "How about our adding a little icing to this side?" to make it even better. By offering up our works and desires and sufferings to Mary to give to Jesus, she makes our offerings that much more beautiful by mingling them with her prayers. There are, though, more formal ways of honoring God through her -- spiritual practices most often known as "Consecration to Mary," or "Consecration to Jesus through Mary," which is the less common but more accurate phrasing. "Consecration to Mary" is the means by which one formally makes an act of trust in Mary as Queen Mother, in her power as intercessor for us with King Jesus, and in the perfection of her will to bring all souls to her Son. One consciously and formally, with outward signs, places oneself under the mantle of her motherly protection. There are two formal methods for doing this. The first method is the more apostolic, corporate method encouraged by St. Maximilian Maria Kolbe, a Polish priest-martyr who founded the confraternity "Militia Immaculata." The second, more complex and individualistic method was first described by St. Louis-Marie Grignion de Montfort, a French priest who founded the Missionaries of the Company of Mary (Montfort Fathers) and the Daughters of Divine Wisdom. 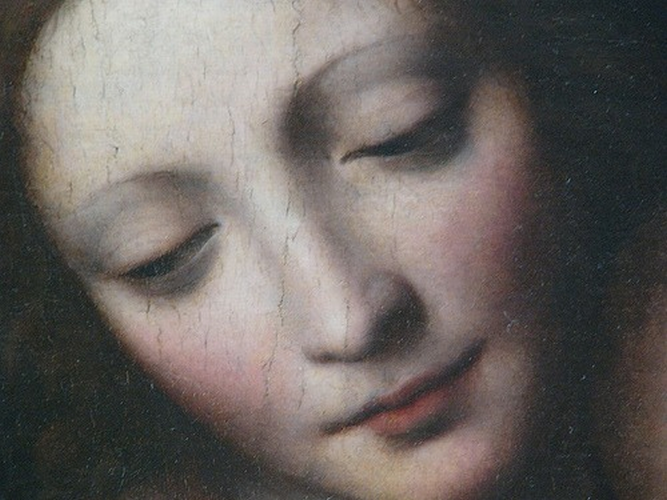 A Catholic may consecrate himself to Jesus through Mary using either method, both methods, or no formal method at all.